Mount Sinai Doctors (Greenlawn) - Book Appointment Online! North Shore Medical Group has been serving the Huntington community on Long Island since 1946. We began our practice with just three physicians — the first board-certified physicians in Suffolk County. Today we have more than 70 physicians in 19 specialties, who continue to uphold North Shore’s tradition of quality care. We recently expanded into Commack, Nesconset and Bay Shore. 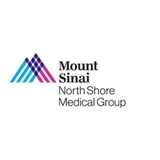 In 1995, North Shore became part of Mount Sinai Health System and now has access to the prominent specialists and latest treatment options that Mount Sinai offers. North Shore Medical Group prides itself on maintaining a lifelong relationship with you and your family. Patients start off in our Pediatric and Adolescent Medicine Department, move into our Internal Medicine Department as adults, and ultimately receive care in our Geriatrics Department. My first visit was very pleasant. Dr. was very nice, introduced himself and was excellent in explaining my CT scan. Wasn't rushed at all. I was quite impressed with Dr. Jessica Caporuscio. Timely, informative, helpful. Impressive bedside manner. Knowledgeable. Thoughtful. Top marks all around thus far. Dr. Oustecky and his staff are very kind and professional. Sufficient time was spent to respond completely to all of my questions and concerns. This is such a pleasant office! This practice sees patients at 25 locations.